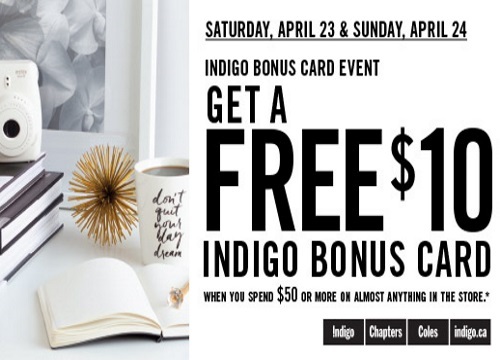 This weekend, Shoppers Drug Mart is offering a Free $10 Indigo Bonus Card when you spend $50 or more on almost anything in the store. The bonus card is a promotional card and expires on May 15, 2016. Offer is valid Saturday, April 23-Sunday, April 24, 2016.